You are here: Home / Mouthwatering Frappuccino Recipes You Must Try! 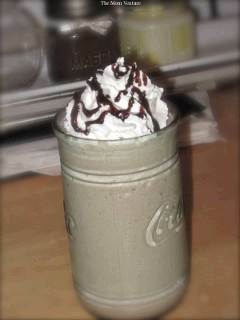 / Irresistible Mocha Frappuccino Recipe! It’s so easy to make your own mocha frappuccino at home and save some money! I don’t usually have syrups here at home to use for sweetening, so instead I use vanilla extract to add to the flavor if I’m just making a mocha frappuccino, or I use real peanut butter for a simply divine peanut butter frappuccino! You can also use cinnamon, almond extract or any other kind of extract you may have on hand. 1 heaping tbls Powdered cocoa-Much better than Hersheys syrup! (you can omit the cocoa if you don‘t want a mocha frappuccino) Try Ghirardelli Chocolate Sweet Ground Chocolate. That's what I use and I really like it and you can find it at the grocery store usually. Sugar (if using unsweetened cocoa) start with 3 tablespoons and go from there. 2 oz or 6 pumps, Any flavored syrup if you want a flavored frappuccino or flavored mocha frappuccino. Or 1-2 teaspoons of Vanilla extract or some other flavor extract. Fill a 16oz cup with ice cubes just below the top of the cup and pour them into the blender. Add the cocoa powder, sugar and any flavored syrups you might be using. Pour in cooled espresso shots. You can either brew it ahead of time and cool it in the fridge, or mix fresh brewed espresso or coffee with some of the half and half and then an ice cube before pouring it over the ice in the blender. Next add the half n half or milk to the blender. Now blend for 30 seconds or until nice and smooth. Great recipe idea and alterations. May I suggest adding a few whole coffee and cocoa beans before blending? I love this recipe I make t every singe morning!!!!! Very good recipe. I just added another half teaspoon of cocoa powder and 2 more sugars. Thank you. You didn’t specify, is the milk blended in the blender , or mixed in after blended? How much peanut butter would you use? I’m lactose intolerant so I will try this with almond milk which is much sweeter and flavorful thanks for this awesome recipe! Can’t wait to try it! yummy! thanks so much this really made my mouth water! making my second helping right now!